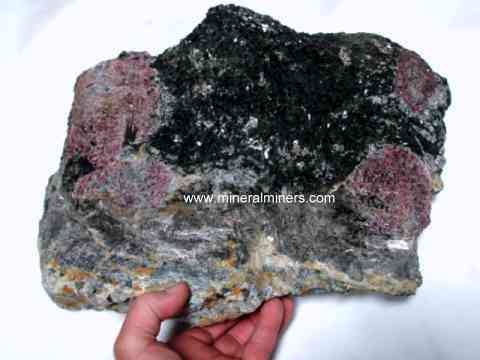 Try our Almandine Garnet Lapidary Rough Satisfaction Guarantee - compare our prices and our superior quality. Click on any natural garnet image below to enlarge it. 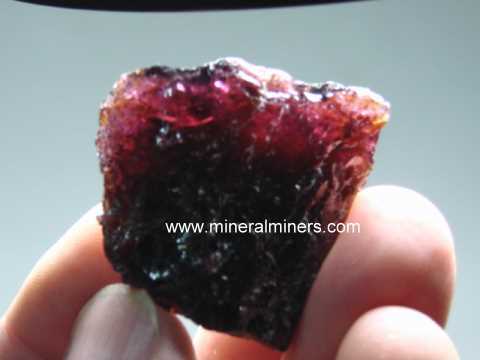 Garnet Rough Dimensions: 1.6" x 1.5" x 0.6"
This beautiful purplish-red garnet rough piece is semi-transparent with areas of cabochon grade transparency with. 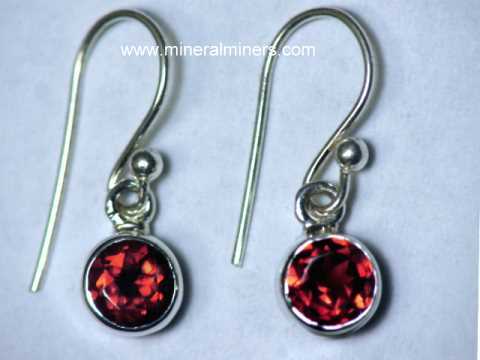 On its broken surfaces the color is a dark red with deep pink to purple tones (100% natural color) which closely resembles rhodolite garnet, although chemically this garnet does classsify as almandine garnet (also known as almandite). Garnet Rough Dimensions: 2.3" x 1.5" x 0.9"
This beautiful purplish-red garnet rough piece is semi-transparent with areas of cabochon grade transparency with. 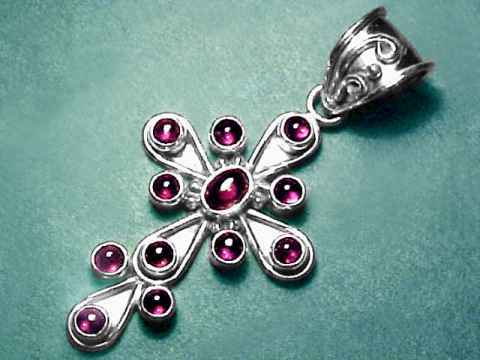 On its broken surfaces the color is a dark red with deep pink to purple tones (100% natural color) which closely resembles rhodolite garnet, although chemically this garnet does classsify as almandine garnet (also known as almandite). 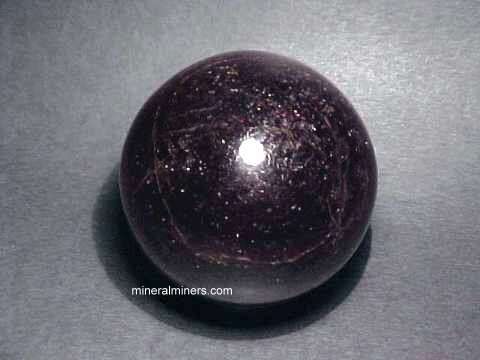 There are some cloudy/milky areas that will show a very well developed star when domed & polished as a cabochon gem! 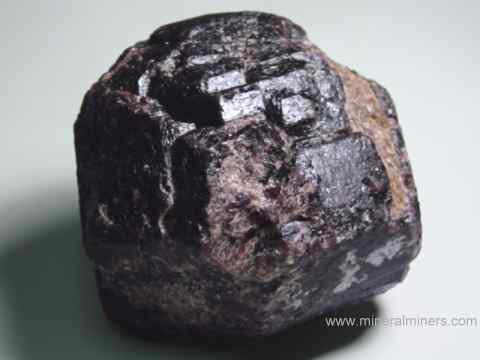 It makes a great specimen of star garnet rough just as it is, although it could also be used for making cabochon gems. 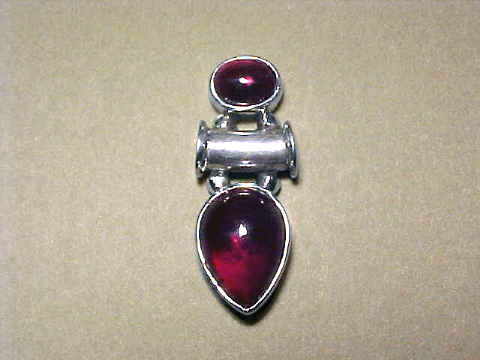 See also an additional view of this natural garnet gem rough. 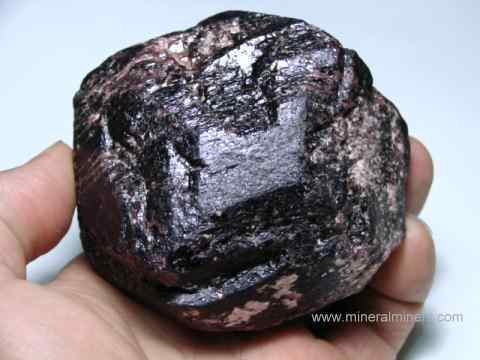 Our Almandine Garnet Lapidary Rough & Dark Raspberry Star Garnet Rough is all 100% natural with no treatments of any kind! 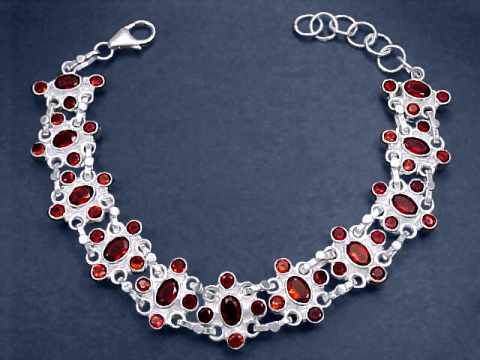 To see more almandine garnet photos, just select another genuine red garnet item from the table below. To see photos of another mineral variety or another garnet variety, select any item category link in our Mineral Inventory & Factsheet Index. There are many named garnet varieties. 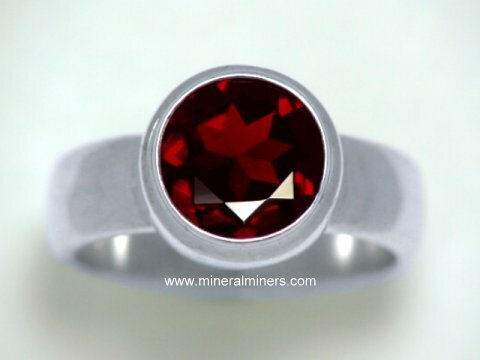 The six main garnet varieties are based on ideal end-member chemical compositions. 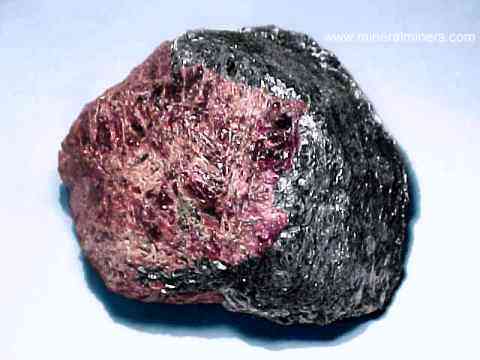 Almandite is the iron (Fe3) rich garnet end-member variety. 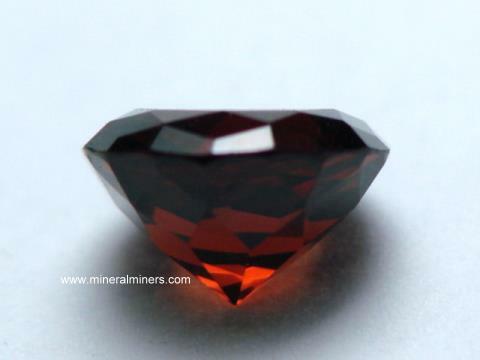 Some of our almandite garnet gem rough is suitable for making faceted gems, and some for cabochons. Many of our cab-grade alalmandite garnet rough pieces have chatoyancy due to microscopic inclusions of pyroxene or amphibole, yielding a four-ray star when fashioned into a cabochon gem. We also have many other types of natural lapidary rough available! 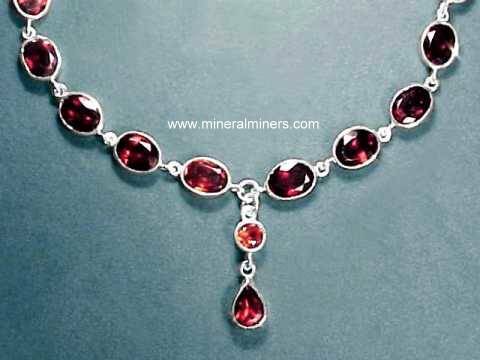 Would you like us to inform you when we add on this page more natural almandine garnet crystals with gem-grade areas and also asteriated or star almandine garnet rough?